We stole the light from the stars just for you. 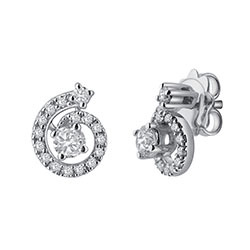 Brighten up the night with swirls of glittering diamonds and white gold. 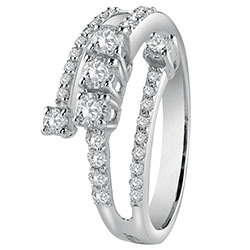 They shine like the stars in the sky, filling the heart with magical light. 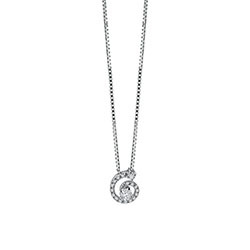 The white gold jewellery with diamonds from the Salvini Constellations collection is inspired by the stars and their beauty, by every woman’s desire to customise their look with a refined cascade of incredibly perfect lights. 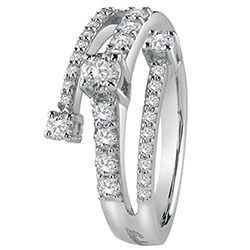 For an unmistakable personal look that exudes style. 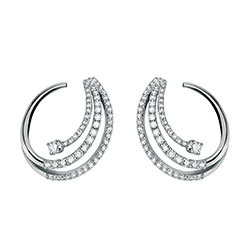 Traditional white gold craftsmanship is showcased throughout this jewellery collection. 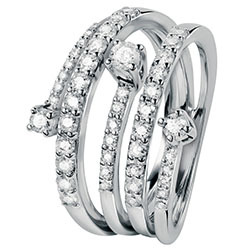 Rings with sinuous lines that intertwine to create spirals of diamonds that warmly embrace the fingers. 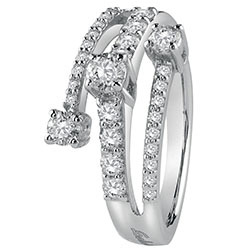 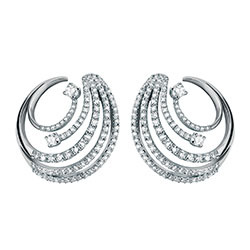 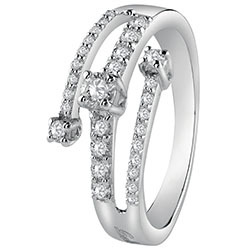 For the earrings a twisting vortex of diamonds that illuminates the face. 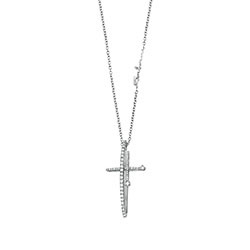 Necklaces with cross pendants studded with diamonds. 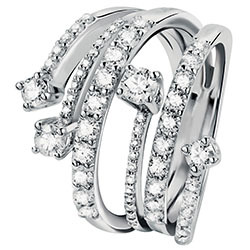 A unique set that reflects Salvini’s inimitable style.